Publisher Simon & Schuster said the highly anticipated tell-all biography, written by acclaimed biographer Walter Isaacson, will include Wednesday night’s announcement from Jobs’ point of view. The writer “speaks to Jobs regularly and is still working on the final chapter of the book”, spokeswoman for the publisher told PCMag.com. Amazon lists the $19.50 asking price for the hard cover version of the upcoming biography, a $13 saving over its retail price of $32.50 and just $2.5 more versus its digital-only counterpart that costs $17 in pre-order over at Apple’s iBook store. As you’d imagine, Jobs’ biography is getting scooped up like mad right now. 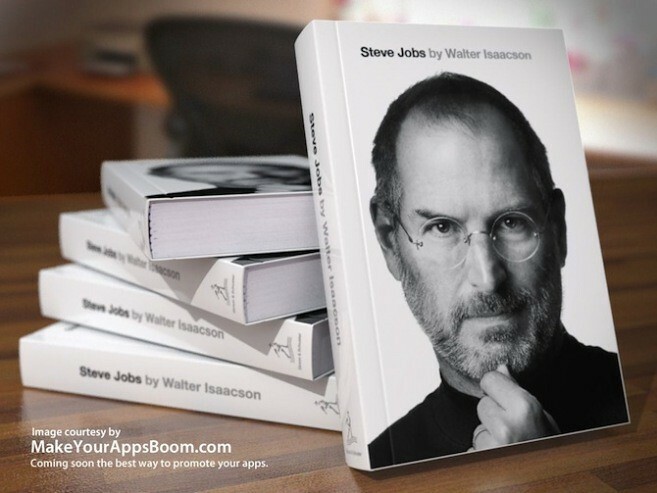 Heck, even that fake Steve Jobs biography from China managed to sell four thousand copies at ten bucks each, and that was five days ago.